Dr. John Taylor is dead. Even though he appears to be an upstanding citizen and beloved doctor, the authorities are suspicious. In the investigation that follows, it comes to light that John is married to 3 different women. Is John’s death foul play? Do any of his wives know anything about it? Deborah: The wife of 35 years. Deborah likes to be in control, and she cares about her family’s public appearance. She did everything she could think of to keep people from knowing about John’s other women. But, is she willing to kill over it? MJ: The wife of 6 years. As a bit of an outsider, MJ thought she was out of luck with men until John came along. She was so grateful to have such a wonderful husband that she didn’t question the conditions and rules that came with him; such as his many business trips and never being allowed to call him at work. She just thought he was ‘eccentric’. How upset would she be if she were to find out he was already married? Helen: The wife of 6 months. Helen was happy and independent. She had a busy career and was not looking for romance; had assumed she would remain single and was okay with that. Then she met John and fell hard. Although she was happy the way things were going, John insisted they get married. She found this odd, but married him anyway. The only condition: no children. So imagine how torn she must have felt to realize she was pregnant and would have to choose between her husband and her child. All 3 wives were very different from each other and played their role as wife differently, too. Deborah was the backbone, the one who took care of John’s schedule, the mother of his children. MJ was the needier wife. She was more emotional and scatterbrained. Helen was the independent one; she didn’t need him to fill a void or present a picture of a happy family; but she was happy to see him when he was around. Despite the fact that there are 3 wives in this book (or maybe because of this), I found that the book says more about the husband than any of his wives. As in My Father’s Wives, John didn’t seem to know what he wanted; or else he just wanted it all. But, rather than going from one woman to another, John was ‘collecting’ wives; wanted them all at once. I actually found it a little frustrating that we don’t get John’s perspective; what was he thinking? This is a quick read that is mildly entertaining. But don’t expect it to leave you pondering life’s big questions. Except, maybe, why (in fiction) does it always seem to be the man who is married to more than one woman and not the other way around? Our next book, to be discussed on April 4th, is How To Be A Good Wife by Emma Chapman. Read along with us! I guess I’m the odd man out on this one, because I thought the book said less about John than any other character. I will admit, though, that its look at the three marriages is surfacy, because as Emily pointed out, this is a mystery not a book about relationships. I also didn’t count Samantha, not because I didn’t think her relationship was as present but because they weren’t married, so she wasn’t technically a wife. I didn’t count Samantha either, for the same reason as you, but also because I found her relationship to be so much in the background that I wondered what the point of it was. I felt from the beginning that it was pretty much doomed. But I love how Emily ties it all in together at the end of her review. I hadn’t even thought of that angle. I commented on Emily’s post that I felt as frustrated as you that we don’t get the chance to know more about John and his choices, but I did feel like all his wives were just reacting to him in different ways (like a comparison between wives of the same man). But, you’re right, this is not really the point of the book, because it’s a mystery more than anything else, which is probably the real problem here. Yes, that is a good point of Emily’s. I don’t know if the wives were just reacting to John. In some ways they were, but how could you not be in any kind of relationship. But I got the feeling that all these wives, because of their unique relationship with John and him not being around much, just lead their lives most of the time, especially Helen. He must have been exhausted just trying to make it home to Deborah’s for breakfast every morning. That seemed a little extreme. Well, since that and holidays was her only requirement, and Helen expected so little, when you think about it, he could spend a lot of his nights with MJ, and he had multiple holiday meals, so since MJ expected him to work long hours, it would be feasible. What doesn’t make sense is that she would buy the “don’t call me at work” routine. That’s what you tell your mistress, not your wife. Yes, it’s hard to believe. He probably told her his schedule was too difficult to be called to the phone. But what if there was an emergency. MJ’s lack of curiosity was hard to fathom. Hm, sounds like I didn’t miss all that much by not reading along. 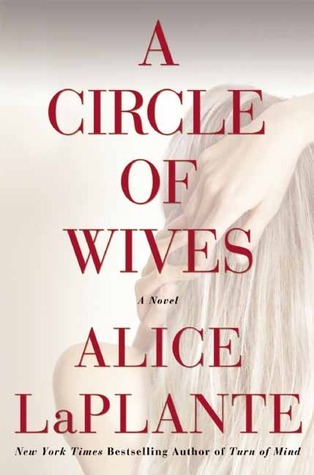 You are right, though… why are there always multiple wives, but hardly ever multiple husbands? I’ll try again to join you for your April selection. One of the reviews says it’s a frustrating book because it can be read in two different ways. That sounds like a perfect pick for a discussion. I hope you can read along for the next book – I’m hoping it will be good! I like your last question, Naomi! I’ve never come across polyandry in a novel although I seem to remember that Polly in Mary Wesley’s The Camomile Lawn has a relationship with both of the vicar’s twin sons at the same time which all three of them enjoy. It’s interesting, isn’t it? Maybe someone else will have a suggestion. The list on Goodreads doesn’t look very appealing to me. 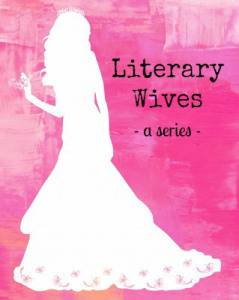 I’m not going to lie, I thought you were starting a “Real Housewives of Literaria” and it was going to be a fascinating monthly breakdown of all the imaginary drama famous literary housewives would have. Didn’t even read he post, just had to share this thought. This sounded really interesting from your synopsis so I’m quite disappointed with the outcome! I like the idea of Literary Wives though. It’s a good enough read if you’re looking for a quick mystery, but I prefer to dig a bit deeper into my books. It’s also easier to get into more of a discussion with the other Literary Wives when the book is more suited to our topic. We don’t always know how it’s going to turn out until we read the book. We have, however, just made a few changes and will soon start including books about wives that don’t necessarily have the word ‘wife’ in the title, so if you have any suggestions we’d be happy to hear them! Your comparison to My Father’s Wives is spot on. It was just a different perspective. We get the side of the wives from their point of view, with Samantha teasing it out of them through interviews and police work, and we don’t get John’s side. I think I prefer it that way. 😉 I like how you presented a glimpse of each character. Nicely written! I would agree, Naomi, I felt that one of the mysteries of this book was John…and his murder…and what marriage was really all about. Several mysteries. I felt the last one was really summed up by Sam and Peter’s relationship and Sam deciding she didn’t want to miss out on the passion/being in love! But I also appreciated Peter’s analysis that they were lucky to start out where most long-term relationships end up–as best friends and good companions. Being much older than you-all and having been in two truly long-term relationships at different stages of my life, Sam and Peter really struck me as depicting the true mystery of relationships/marriages. Unlike you and Kay, however, a long-term relationship is a long-term relationship to me, regardless of the legalities, hence Sam and Peter’s decade-long relationship qualified for me, especially since it was longer than John’s relationship with any of his ‘partners’ except Deborah. And I love the fact that for me, this book was all about relationships! 🙂 I love how our impressions can vary so much yet we all cite some common observations about each book. That’s what makes discussion so much fun and interesting! Honestly, I thought you would be into the relationship aspect of this one more than you were, Naomi! You usually delve into the psychological aspects of a book. Perhaps because of the murder mystery being the main story line… Anyway, nice review!! As always!! I don’t know if it was the murder mystery or if it was the fact that there were so many characters in a relatively short book. There was a lot going on on the surface, but I felt like there wasn’t a lot to dig into. Maybe it’s because I don’t read a lot of mysteries that I couldn’t see much past that part of it. I also agree with you about long-term relationships, but I didn’t know how to treat it in the context of our Literary Wives group. Now I know!